Thanks to ModernDayBabylon for making and to Dorothy for sending me the following documentary "A Devil in Disguise: Zionism and it's Threat to Christianity, Judaism and the World." This is by far the best and most important conspiracy documentary I've seen in a long time. A Devil in Disguise correctly identifies Jewish Zionism as the world capstone of control, backed with plenty of evidence, and presents the important differences between Sephardi and Ashkenazim, between spiritual Torah Jews and supremacist Talmudic Jews. Below are the first 3 sections of this 13 part opus; the rest can be viewed here. John Glenn, two-time US senator and one of the first men in space was a known Mason. The number of astronauts known to be Masons is astonishing: Buzz Aldrin Jr. (Apollo 11), Gordon Cooper Jr., (Mercury 9, Gemini 5), Donn Eisele (Apollo 7), John Glenn Jr., (Mercury 6), Virgil Grissom (Apollo 1 & 15, Mercury 5, Gemini 3), James Irwin (Apollo 15), Edgar Mitchell (Apollo 14), Walter Schirra Jr. (Apollo 7, Sigma 7, Gemini 6, Mercury 8), Thomas Stafford (Apollo 10 & 18, Gemini 7 & 9), and Paul Weitz (Skylab 2, Challenger). This list is by no means comprehensive and there are likely scores upon scores of Masons within the ranks of NASA. Werner Von Braun, the first director of NASA was one of many top Nazi rocket-scientists the OSS/CIA brought to America during Operation Paperclip. So to begin with, NASA is full of Masons and Nazis - not the most historically honest folks. There is an area of very high radiation called the Van Allen Belt 272 miles from Earth which the Russians could never pass. In fact in 1959 Bill Kaysing reported on a Russian study which discovered that the amount of radiation on the moon would require astronauts to be clothed in 4 feet of lead in order to avoid instant death. 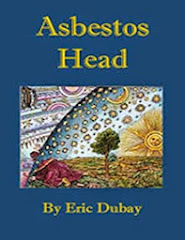 John Mauldin, a NASA physicist, said they would need at least two meters of thick shielding. How did the NASA astronauts account for the Van Allen Belt and Moon’s radiation? 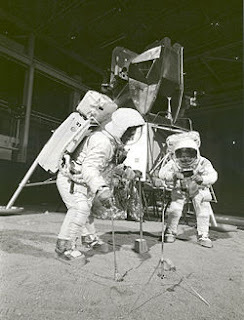 How were they able to walk on the Moon in such flimsy suits? Why has no one else before or since gone through the Van Allen Belt? On top of this, every 11 years the Belt varies through cycles of radiation and 1969-70 during the Apollo missions was at peak intensity. NASA has never provided an adequate explanation for this. Two years before Apollo 11, NASA director Werner Von Braun and a small team took a mysterious trip to Antarctica. They claimed to be scoping out remote locations for top-secret training facilities, but skeptics say they went to collect “Moon” rocks. Bill Kaysing (author of “We Never Went to the Moon: America’s Thirty Billion Dollar Swindle”) hired his private investigator friend Paul Jacobs to check with the head of the US Department of Geology in Washington and ask, “did you examine the Moon rocks, and did they come from the Moon?” The geologist simply laughed and insinuated that people high in the US government knew all about the cover-up. Why didn’t NASA make a signal from the Moon that could be seen by everybody on Earth without aid of their TV set? The Apollo astronauts could have done this with magnesium flares or similar technology and it would have been a spectacular display for all to see - proof of their accomplishment. It is interesting that we would travel all the way to the Moon and not take any color video either. They had enough money and technology to put men on the Moon, but they couldn’t spring for some color video? The only black and white video available from NASA is the poor quality recording-of-a-recording that we all saw on TV. 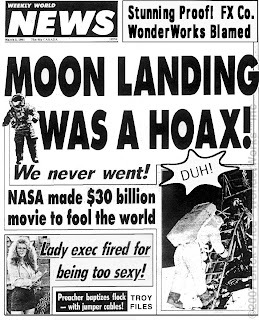 Furthermore NASA claims to have conveniently lost all the original Apollo 11 high-quality video and data telemetry tapes so experts cannot examine their authenticity. Blueprints and designs of certain machines are missing as well such as the Apollo Lunar Module and rover. Award-winning British photographer David Persey is convinced the Moon pictures are fake. 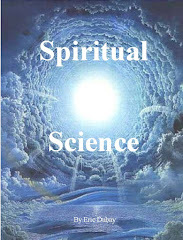 In his book he shows anomalies in light/shadows which can only be accounted for with multiple light sources. The only source of light on the Moon should be the Sun but pictures show some shadows are longer than others, shadows cast in different directions in the same picture, and certain undeniably spot-lit areas. For instance he points out that the American flag and the words “United States” on the craft are always brightly lit even when all else is in shadow. There are a couple pictures where extension cords are clearly seen stretching across “the Moon’s” surface as well. When the Apollo astronauts are pitching the American flag it is whipping around quite violently. NASA says that there is no wind on the atmosphere-free Moon, and has never provided an adequate explanation for this. Also if you speed up the video of Neil Armstrong running/bouncing on the moon by exactly 2X, he is clearly in Earth gravity just taking long strides. NASA simply slowed down all the video to half-speed in post-production. The second man on the Moon, 33rd degree Mason Buzz Aldrin was asked at a banquet what it felt like to step onto the lunar surface. He got up without saying a word and left the room crying uncontrollably. Another time (you can watch on YouTube) he was approached and called out by someone on the Moon hoax and reacted by punching him in the face. 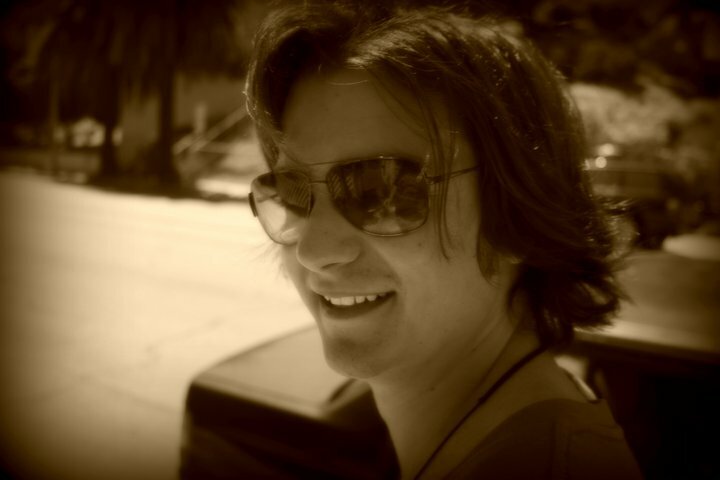 He acts less like someone who has walked on the Moon and more like someone trying to live a big lie. He also must fear for his life because he has taken a Masonic blood-oath not to expose the hoax (Also see Neil Armstrong, Ed Mitchell, and other Astro-nots Gone Wild). Before the first manned Apollo mission, 11 would-be Apollo astronauts died from supposed accidents in the line of duty. Three of them “accidentally” had their test capsule pumped full of high pressure oxygen until it exploded. Seven more died in plane crashes and one in a car crash. 11 astronauts coincidentally dying under such circumstances is highly unlikely and points towards the Masons trying to find the right people to sell their hoax. 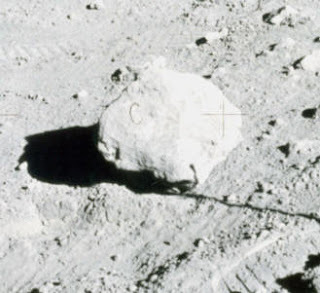 There are a number of photos supposedly taken on the Moon that clearly show the letter “C” engraved in a “Moon rock.” In one picture another “C” is seen drawn into the ground right next to the rock. CC is numerologically 33 and is Masonic code, a wink-wink elbow-nudge to fellow Masons. In the Masonic Scary Movie 3, a reporter named Cindi Campbell is reporting on Crop Circles (CC, another Masonic ploy to make you believe in Aliens). Just after this Eminem the rapper (MM = 33 on its side) talks with Cindi Campbell about Crop Circles. The double letter symbology is abundant in Masonry and well-known to initiates. All NASA mission patches are full of occult/Masonic symbolism and perhaps none more so than the Apollo missions. The names of the missions and crafts are almost always names of ancient gods or astrological signs; they always use Roman numerals, and complex Sacred Geometry, the secrets of which are held by the Masons. Why was it “the Eagle” that landed on the Moon? Eagles have long been used to symbolize the crown chakra. Many mission patches feature the caduceus, serpents, eagles, and other spiritual symbology. The STS-58 patch shows a snake coiling up a pole with a V under it on one side and a caduceus on the other. The Egyptian Osiris is depicted as being green and so is his wife Isis, like the green Statue of Liberty and her green $ dollars. 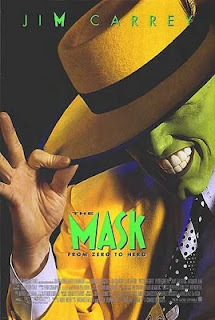 Jim Carrey, JC, like Jesus Christ, is the Sun/Son of God. 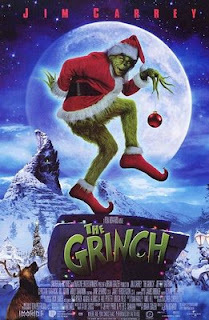 In “The Grinch” Jim Carrey plays a green character who steals Christmas. In the movie poster he is walking in front of the Moon, obscuring it, and carrying a sack of stolen goodies. 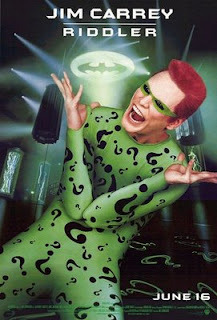 Carrey also played green characters in Batman Forever (the Riddler), and the Mask. 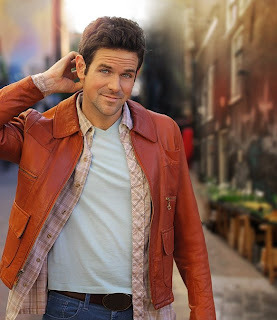 He plays Andy Kaufman, a hoax, in the movie called “Man on the Moon” (MM) which features the REM song of the same name (“if you believe they put a Man on the Moon, if you believe there’s nothing up his sleeve”). 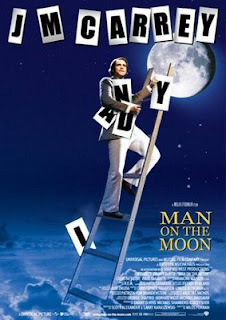 In Bruce Almighty, after Carrey gains god-like powers, he lassos the moon and brings it closer. In Dumb and Dumber Carrey passes a newspaper headline that says “Man walks on the Moon” and he acts delighted to hear it as though he didn’t know and had never heard the news. Last but not least, in “The Truman Show,” Ed Harris (the villain in “The Rock”) plays the producer of Jim Carrey’s life. 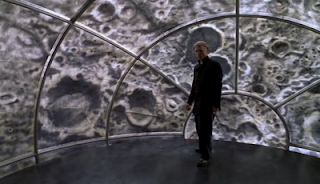 The central command station where Harris operates his deception of Truman is a fake moon! 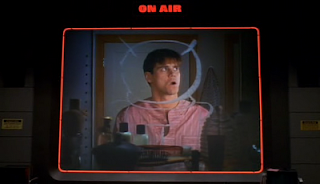 At one point in the movie, Carrey is even drawn with an astronaut’s helmet on. These are all Masonic messages being delivered by those who know, and received only by those who have eyes to see and ears to hear. Another recent one in the movie called "The Hoax," during a critical scene in the movie Richard Gere is shown standing affront a picture of Neil Armstrong on the "Moon." This is not coincidence. 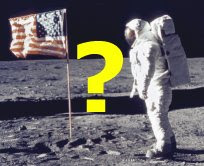 A year after the faked moon landing a Knights Newspaper poll found that more than 30% of US citizens were “suspicious of NASA’s trips to the Moon.” According to a 1999 Gallup poll only 6% of the US population had any doubts that Apollo astronauts walked on the Moon. It seems that up until now their propaganda campaign has proved quite successful. 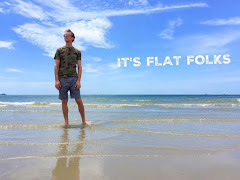 The president of the International Flat Earth Research Society thinks the moon landings were faked in Hollywood studios with help from Masons Stanley Kubrick and Arthur C. Clarke. 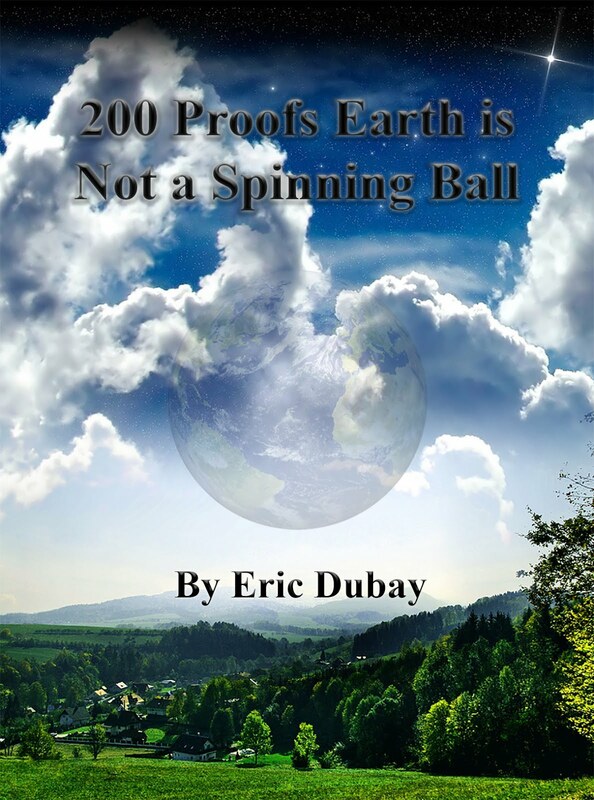 He claims that NASA’s reason for existence is to promote a non-Earth centered cosmogony/cosmology. Werner von Braun never admitted the Moon landing hoax, but just before he died in an interview with Carol Rosin, he said that in order to sustain the military-industrial complex, first they had created the “Cold War” threat. Once that veil was lifted, a false “terrorist” threat would be created and propagated to the public. Once that was seen through they would create a false asteroid threat to be dealt with in an “Armageddon” military-industrial manner. Then their last card is to stage a fake alien invasion using their classified anti-gravity “UFO” technology. It's not green cheese, but it might as well be. A moon rock given to the Dutch Prime Minister by Apollo 11 astronauts in 1969 has turned out to be a fake. The Dutch national museum said Thursday that one of its prized possessions, a rock supposedly brought back from the moon by U.S. astronauts, is just a piece of petrified wood. Curators at Amsterdam's Rijksmuseum, where the rock has attracted tens of thousands of visitors each year, discovered that the "lunar rock", valued at £308,000, was in fact petrified wood. Xandra van Gelder, who oversaw the investigation, said the museum would continue to keep the stone as a curiosity. What do people think of this? Definitely looks like wires to me! 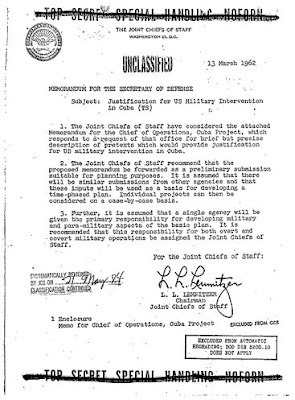 The recently declassified Operation Northwoods documents kept Top Secret for 40 years outline a US government plot to kill hundreds, probably thousands, of American citizens for political gain. 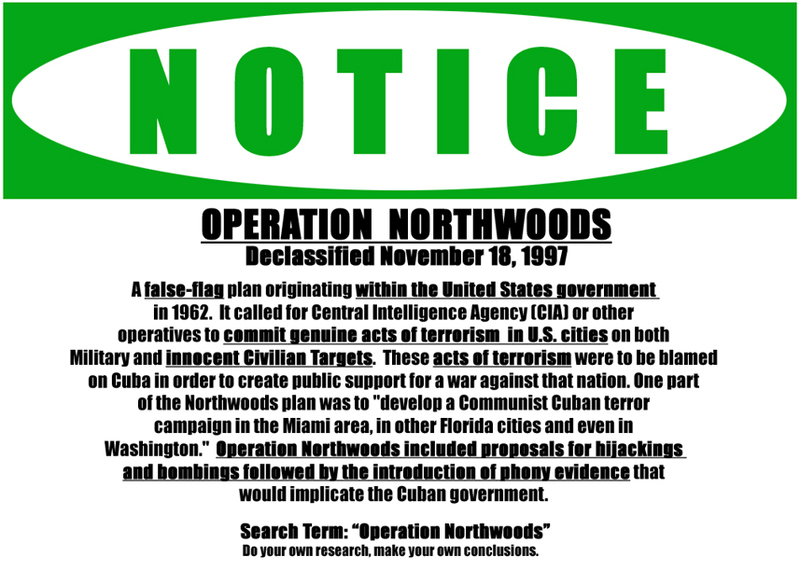 In 1962, President JFK’s Joint Chief of Staff General L. L. Lemnitzer masterminded the Northwoods plan in order to start a war with Cuba. 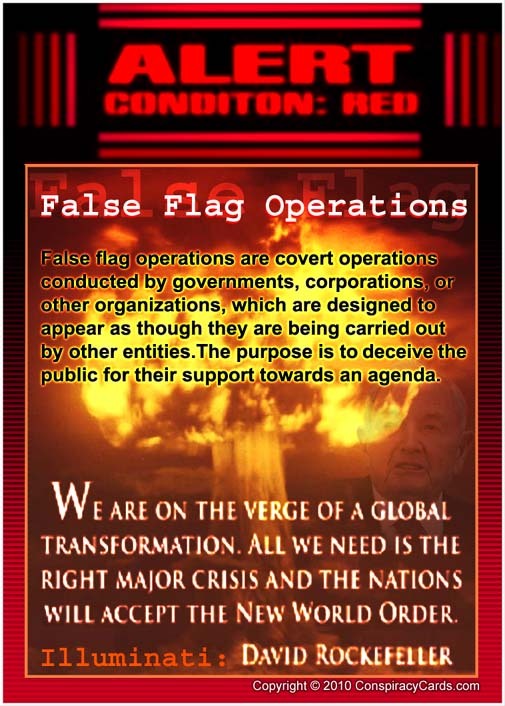 The American people certainly did not want a war and neither did Castro, so a series of false-flag operations were designed to cause a “helpful wave of indignation” and get the people behind a war. The methods to be employed were many and varied from starting rumors using clandestine radio, to sinking and setting fires to US ships, dressing like Cubans to attack US bases, blowing up ammunition/planes, starting fires/riots, and last but not least, hijacking and shooting down a commercial passenger plane. The document actually says that “Casualty lists in U.S. newspapers would cause a helpful wave of indignation.” They even planned to “conduct funerals for mock victims” to gain added public support if there weren’t enough real victims. All this was already approved and signed by every Joint Chief of Staff and the Secretary of Defense when President John F. Kennedy received it. 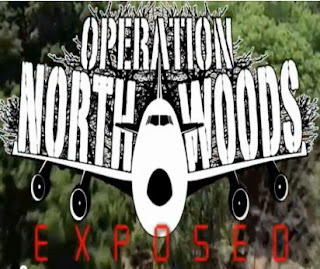 Thankfully for us all, JFK refused to sign the Northwoods document and the plan was never carried out, but its very existence proves that the government is certainly not always friendly and looking out for our best interests. In the Northwoods document it actually refers to the U.S.S. Maine false-flag pre-text to the Spanish/American war. 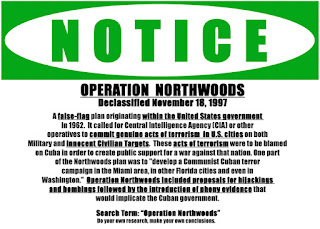 It reads, “A Remember the Maine incident could be arranged in several forms: We could blow up a ship in Guantanamo Bay and blame Cuba [or] we could blow up a drone anywhere in the Cuban waters.” So, Northwoods ordered to sink our own ships (like the U.S.S. 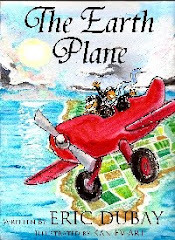 Maine), ordered to hijack/shoot down our own commercial airliners (like 9/11), and to bomb ourselves (like WTC ’93, Oklahoma, Madrid, 7/7 and so many others). I received messages a couple months ago from Kevin Kostelnik and Benny Wills, two roommates, actors and long-time Atlantean Conspiracy readers looking to find "their place in the truth community." Their amazing recent creation, JoyCamp, is the result of that desire to raise awareness and has succeeded wonderfully by using humor to shine a light on some rather dark subjects. Above are a few of my favorite clips they've created so far. Please support and subscribe to these hilarious free-thinkers. Hi Eric! We don't know each other, but I'm a long time fan and supporter of you and The Atlantean Conspiracy. Both myself and my roommate, Benny, have had your site bookmarked for years as one of our go to sources for information. You've done a phenomenal job spreading the truth and we both commend you for that. For years we have been struggling trying to figure out our place in the truth community, and how we can share information and spread truth in our unique way. After years of travelling deeper and deeper down the rabbit hole, we've finally found our voice: making humorous and satirical videos that both entertain and spread awareness. The idea is to create a funny video that anyone can watch and enjoy, no matter what their perspective is on reality, and at the same time lay down some truth for them to absorb. The great thing is that someone who has no idea about any of the subjects we tackle can still watch and enjoy the silliness of the video, but also be stimulated with the truth placed in the overall message. 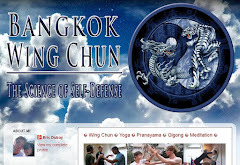 We would be grateful if you would check out our videos, subscribe, and help get the word out. We're all in this thing together, and would love your support! Thanks for everything you do, brother. Hey Eric... I'm Benny-- Kevin K's roommate and co-creator of JoyCamp. Thanks for the love man. You're really helping to put us on the map. I've been tumbling down the rabbit hole for ten years now trying to figure out how to help spread the word and wake people up... JoyCamp is my contribution. And we're just getting started... 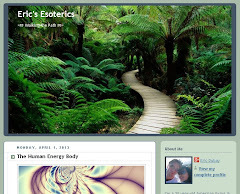 Your blog has been one of my go-to sources for information for almost three years now. Glad to be in contact. On August 2nd, 1964, the USS Maddox destroyer was supposedly conducting reconnaissance in the Gulf of Tonkin when fired upon by North Vietnamese forces in Swatow gunboats. 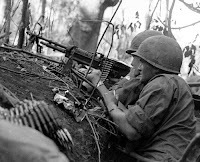 The Maddox, however, was not on a reconnaissance mission; it was part of a joint CIA-South Vietnamese covert intelligence operation called ‘Operation Plan 34A. 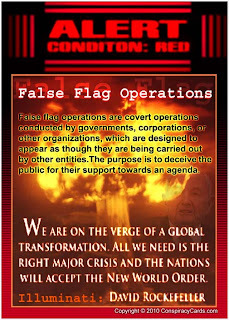 Once again the people were manipulated into believing a false-flag reason for entering the Vietnam War. This time the public was told a friendly ship came under unprovoked enemy attack, when in fact our ship was the aggressor. On August 4th, 1964, the US Destroyers received radar and radio signals that were misinterpreted as being another enemy attack from the North Vietnamese navy. Supposedly a two-hour shoot-out ensued, but in reality there were likely no enemy ships out there. An hour after the incident, Captain John J. Herrick of the USS Maddox, sent a cable admitting the attack may not have been an attack after all. Thanks to fellow blogger Thaddeus Griebel at MindUnclouded for introducing me to metaphysician Rene Guenon. The above video is a great introduction to his work, and here's a link to some of his books/transcripts.